Inspired by the magic of ancestral jewellery Ilado Paris's pieces are meaningful, symbolic, simple and stunning. 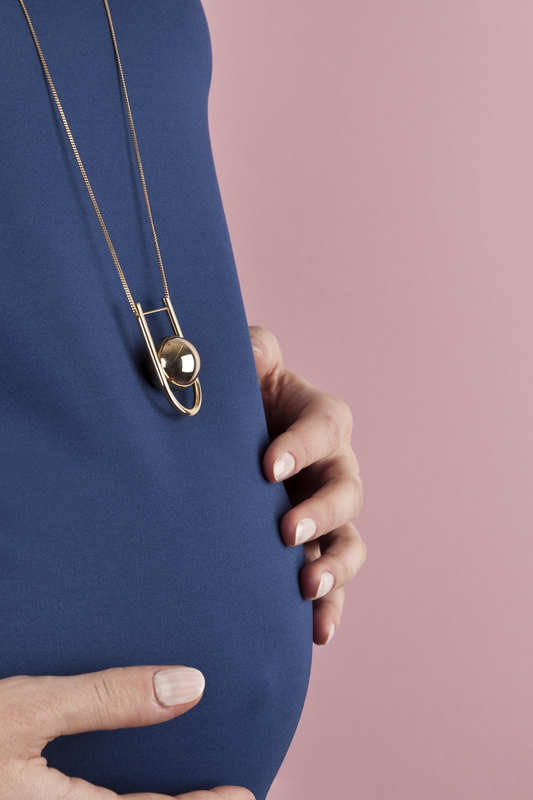 Designed and made by talented and passionate designers and artisans from France and around the world, their first collection of pregnancy necklaces are a unique, contemporary interpretation of an ancestral Mayan tradition. BY WHOM IT WAS FOUNDED: We are Celia Bonahon and Sandra Zeller, 2 childhood friends and young mothers based in Paris. Originally, ILADO was the name of an African peninsula where our friendship began when we were 10. In 2015, 20 years later, fascinated by the meaningful beauty and the magic of ancestral jewellery, and inspired by our own search for meaning and harmony in the hectic pace of our lives as young mothers in Paris, we left our jobs as fashion buyer and marketing director to create ILADO Paris! WHY WAS IT CREATED: ILADO Paris offers “Jewellery for the Soul”. In today’s world, where the loss of meaning and the stress of our fast-paced modern lives take us away from ourselves and from what is essential, we imagine jewellery that you wear to feel good, to express who you are, to inspire you every day. We capture jewellery, beyond its beauty, to its deeper meaning, by connecting with its magical and spiritual essence celebrated for thousands of years around the world. In our industrial cultures where most objects look all the same, we look for talented and passionate designers and artisans from France and around the world, to perpetuate the beauty of traditional know-how at the heart of contemporary creations, that are unlike any other. WHAT WE NEED TO KNOW ABOUT YOUR BRAND: Our first collection of Angel Caller jewellery offers the first contemporary interpretation of an ancestral pendant that has been celebrated for centuries in many cultures, from Indonesia to Mexico. It contains a silver ball that emits a subtle and harmonious chime when shaken. Legend has it that this sweet jingling sound, that is unique for each pendant, is magic: it has the power to call the wearer's Guardian Angel. In Mayan culture, it was worn during pregnancy to protect expectant mothers and their babies. After birth, the familiar soothing sound will reassure and calm the baby, as a reminder of the warmth and comfort of the womb and the invisible presence of its mother. WHAT WE SHOULD BUY FROM YOU: All our Angel Caller necklaces are beautiful gifts for mums-to-be or for your loved ones! Our favourite one is the U Angel Caller necklace with its minimalist and elegant contemporary design and its adjustable length chain. Our chiming pendants are unique pieces, handmade by a craftsman in Taxco, Mexico, in the greatest respect for tradition. They are then gilded with fine gold and suspended at the end of precious necklaces by a French or Italian manufacturer. Our creations are carefully packaged in a joyful cotton pouches that comes in a protective box made of recycled materials.